TRIATHLON COACHING FOR THE AMATEUR TO THE PRO. 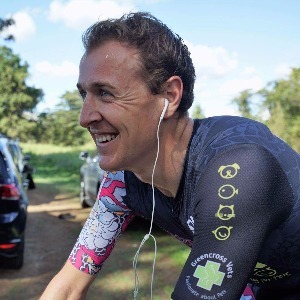 Coach Aden is an exercise scientist, cyclist and an ex professional motocross rider who uses the latest in sports science research to help athletes achieve their sporting or personal goals. Aden is passionate about having a close coach to athlete relationship to help understand what is the best program for each individual athlete. Coach Aden raced motorcycles since the age of 5 and took it to the professional ranks in Australia and then in 2009 and 2010 raced professionally in the prestigious AMA sX and MX series. Aden netted himself some credible results in the top 20 over the 2 years that he was in the United States America, in the premiere 450 class. Aden then returned home in 2011 to pursue an education education, firstly with a diploma of Remedial Massage, then a Bachelor of Exercise Science and is currently completing his honours in "cardiac fatigue". During this time Aden took up cycling, he already had the bike skills but just needed to develop some specific endurance fitness. Within no time Aden was racing the National Road series circuit, with a few top tens and state championship podiums at the elite level. Success. Coach Aden de Jager has been notified of your message.